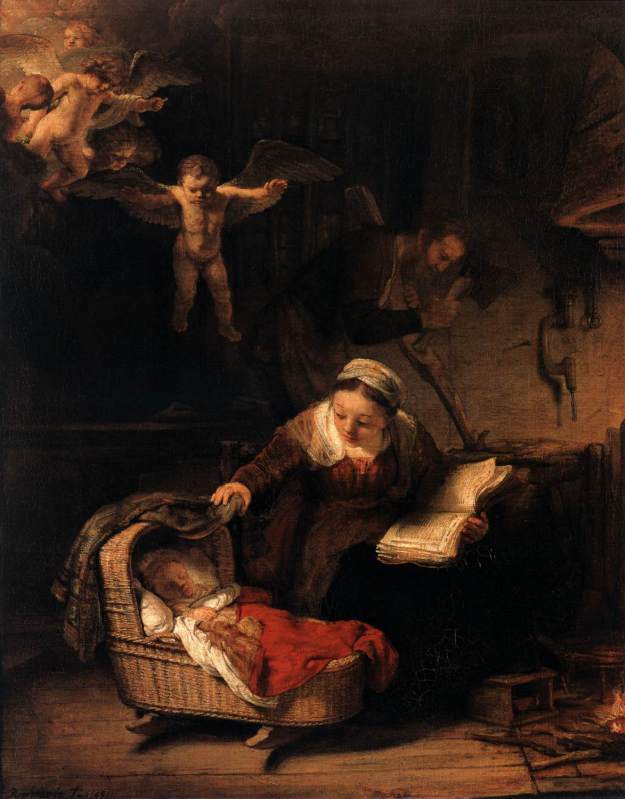 Christmas in art is usually represented via the Adoration of the Magi. There are dozens of paintings with three wise men of the East kneeling in front of the cradle, with the Virgin presenting her Son, and Joseph standing back, respectfully. Artists played with light coming from the star right onto Christ, with angels cheering up or even dancing (Botticelli), with various saints and benefactors attending the scene, but few dared to capture the Christmas spirit beyond a trite illustration of the Bible. Most artists didn’t have the creative liberty to experiment. Clients wanted the Magi, and a client’s wish was just as sacrosanct as the story itself, if not more so. My favourite representation of Christmas is the Holy Family with Angels by Rembrandt (St.Petersburg, the Hermitage), painted three years after Rembrandt’s wife died leaving him a widowed father. This entry was posted in Material for thought on December 27, 2014 by Boryana. So, you think Rembrandt has nothing to do with your life? Read this! Rembrandt is more often compared to writers than painters. He has been likened to Shakespeare in England and Dostoyevsky in Russia for his explores of human character under extreme strain and stress, be it a brush with death or burial under cornucopia’s gifts. That might be true, but for me he is more of a philosopher with prophetic insights into the social order that would flourish many centuries later. He craved for recognition when he was young, and for money, when he got recognised and bankrupt. 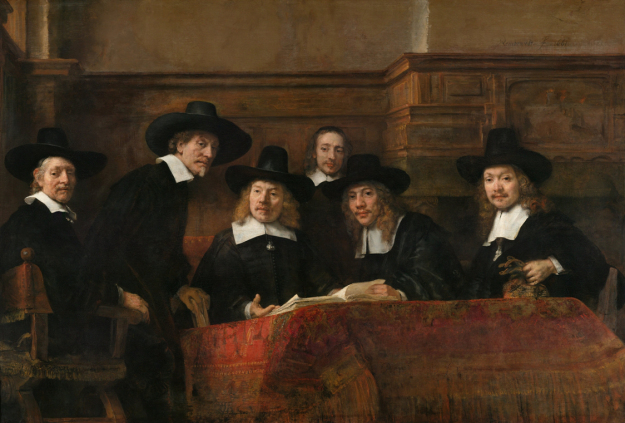 At the time, group portraits were as good a commission in the protestant Amsterdam as an altarpiece in Rome, so the order from the Textile Guild was a godsend. This entry was posted in Material for thought on December 15, 2014 by Boryana.